now the jungle lives in me." Nabaneeta Dev Sen, The Jungle Story. Found via Bookake. It's something more of a cry or a chorus than a great quote, really. "A tough life needs a tough language – and that is what poetry is." Found a great article on the poetry of T.S. Eliot by the very wonderful Jeanette Winterson today, Shafts of Sunlight (originally from The Guardian). I could hardly put it down. Virginia Woolf, Three Guineas (1931). Read it in full here. By the way, it becomes more evident for every day that Orlando is one of my greatest reads ever. Ever. 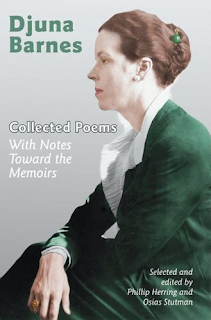 Djuna Barnes on T.S. Eliot, 1981. 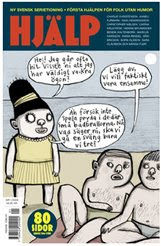 Am very sad to find out that Hjälp, one of my favourite Swedish comics magazines will be no more. T.S. Eliot. From Little Gidding, Four Quartets. I was dissatisfied reading through last year's list of books. Bored, even. Too little, too all over the place; a lack of fiction. The other day H. said I ought to keep a separate list of all the books I don't finish. With that in mind, I did read a lot that I loved last year, especially poetry. However, this year should be more about challenges. The author and his webpage. 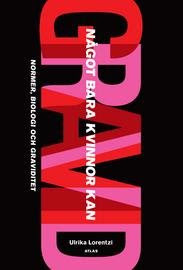 Swedish journalist Ulrika Lorentzi has written a great book about pregnancy and, to some extent, parenthood. Great intervews with queer feminist Tiina Rosenberg and feminist Ebba Witt Brattström. Read it. Get it here. 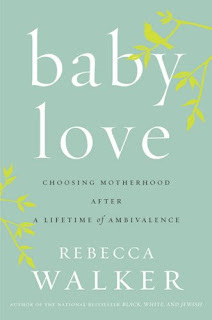 Baby Love is a memoir in diary form, written mostly during Rebecca Walker's pregnancy with her first child. She writes about the ambivalence she's been dealing with, the worry that she would lose herself and that it would complicate her already complex relationship with her mother (more about that relationship in this book). "With a few small power plays—a skeptical comment, the withholding of approval or praise—a mother can devastate a daughter. 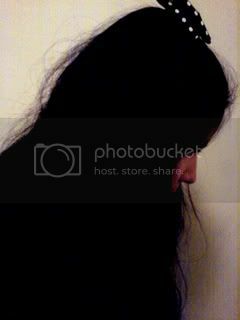 Decades of subtle undermining can stunt a daughter, or so monopolize her energy that she in effect stunts herself. Muted, fearful, riddled with self-doubt, she can remain trapped in daughterhood forever, the one place she feels confident she knows the rules." "It seemed that these mothers did not realize that they had to give adulthood to their daughters by stepping down, stepping back, stepping away, and letting the daughter take center stage. These mothers did not seem to know, with all their potions and philosophies, their desires to rehabilitate ancient scripts of gender and identity, that there is a natural order, and that natural order involves passing the scepter to offspring with unconditional love and pride. To protect her unborn child, Walker decides to not have too much to do with her seemingly indifferent mother. "I can see the importance of making decisions that enable your child to be not just physically safe in an environment, but emotionally and logically safe as well. If the well-being of my own child doesn't inspire me to break through my ambivalence about a person or situation and act more decisively, I have no idea what will." "Human beings create narrative because we glimpse the universal through the specific and feel less alone." What could be better than starting 2009 with Moomin and his friends? Have been looking for these stories in the larger size hardbacks, since that's what they looked like when I was a kid. 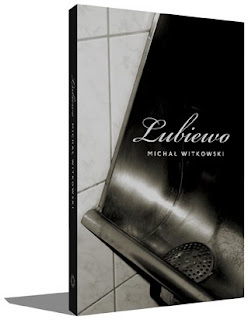 Luckily Swedish publisher Alfabeta took after Drawn and Quarterly's beautiful hardback editions recently. Drawn and Quarterly's Moomin page here, with a preview.